Graphic novels come in different genres ranging from science ficton to fantasy but also tackle the historical and social issues of today. 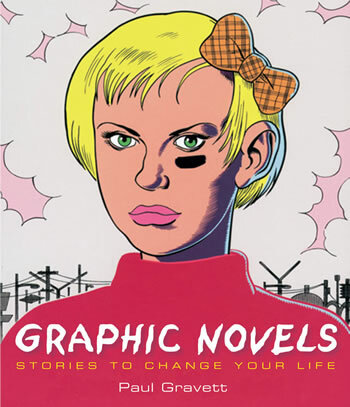 The Library is expanding it’s collection of graphic novels to cater for a variety of interests and reading ablilites. Why not try one today! See if any of the reviews below appeal to you. If you have already read one tell us what you think. Part graphic novel, part heroic fantasy, it’s an adventure like no other! In a world of talking animals, there is one burning question: Did humans ever exist? Thelonious Chipmunk believes he has proof that they did: a postcard showing a building made of concrete and glass. But his sister thinks the postcard’s just a dumb piece of paper, and that humans are only make-believe. Then one day a flash flood carries Thelonious away. When he comes to, he’s in a strange world that looks something like his postcard, but not quite. Then he realizes that this is the city on his postcard, only crumbling and decaying. But if this means humans did exist, where did they go? 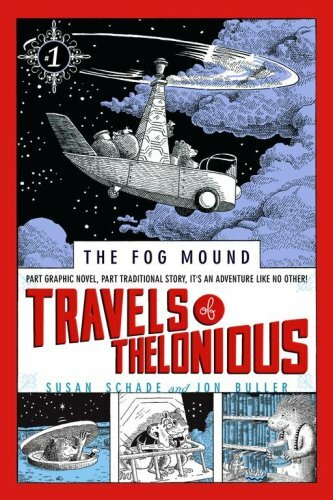 Thelonious, along with some new friends, sets off to find out. Faithful to Higson’s Young Bond series, Silverfin: the graphic novel introduces the reader to future spy-hero James as a teenager, and reveals the foundations of his future. A prologue sets the scene of monstrous and untoward events taking place at Lake Silverfin in Scotland. Part One sees James’ arrival at Eton where it is not long before he makes an enemy of school bully and son of fascistic Lord Hellebore. In the final section James discovers the full evil – involving powerful serums and human guinea pigs – taking place at Hellebore’s Silverfin estate. In keeping with a 1930s-period feel, greens, browns and grey blues suffuse the pages. The hundreds of frames in this book are an accomplished labour of love, clever realisation and care.This graphic novel is a must for Bond fanatics. 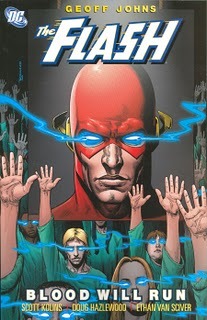 This graphic novel is a reprint, in a book form, of the FLASH #170-176 (2001). In this story, Wally West, the Flash, is shocked to find that some strange cult is tracking all of the people that he has ever rescued, and is killing them! When Magenta (aka Frankie Kane), one of Wally’s old flames, turns up, it is only the first in a line of Wally’s old indiscretions turning up to haunt him. There’s a cult out there that loves the Flash…and wants him dead! In reality this book contains two stories – or perhaps one and a half. The second story grows out of the first, pitting Magenta and several other Flash baddies against him. When Wally’s old girl friend Julie Jackam is murdered by Cicada’s cult, questions begin to arise as to who the father of her baby is, especially now that he is beginning to manifest superhuman powers. This is not a good day for Wally. This is a pretty good graphic novel. Flash’s battle with Cicada’s cult is fascinating, and how he pulls off his victory is great! When the story continues with Magenta and her cohorts (who were not in the first part of the book), it becomes much less clear, and the story doesn’t really seem to have an ending at all. But, that said, I did enjoy this book, and recommend it to all Flash fans. On first inspection, a comic strip depicting the suffering of the Holocaust through the use of ‘cat’ and ‘mice’ figures seems insupportable, almost laughable. However, the moment you begin to read the Maus collection, you are drawn into an incredible world, the world of the Holocaust, and become part of it. The mice become as real to the reader as their own family, the Nazi cats as terrifying as any living nightmare. Through the struggle to survivial of the Speigelman family, both during and after the Holocaust, the reader gats a real sense of what it is to have experienced such events, whether literally, or as a second-generation survivor. An amazing both, which is both hugely entertaining and surprising. 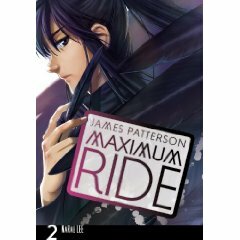 This is a great book if you love Maximum Ride and manga! It’s even pretty good if you just love manga. The pictures are excellent. It dosen’t go into details that much, but you get the picture! I, in fact, liked it a tiny bit better than the first one. I loved when the flock got their makeovers! I read the whole thing without putting the book down in two hours. I mean, it’s not a super-fast read, I just read Maximum Ride really fast! If you’re a beginer at manga (like my daughter) then you could use this book for some examples of facial expressions and anatomy and stuff like that. So, anyway, it’a a great book!